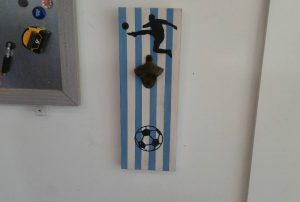 Come make a magnetic goal bottle opener for the sports fan in your life! Goooooooooooooal!!! Score big fun when you catch your bottle caps in a hoop, ‘hole in one’ or on home plate. See video here. 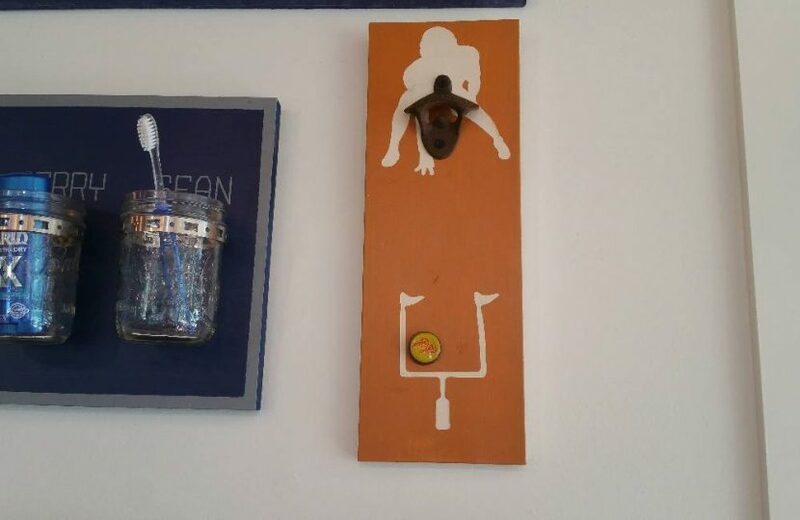 Make this design with a powerful magnet that will catch your caps as the fall and attach them to the desired spot. Choose from basketball, baseball, football, golf and soccer. Email info@austincraftlounge.come or call 512-961-6101 if you want a different sport, we may be able to accomodate. As always, you will choose your colors when you assemble this project.